If you're anything like we are, then you love to read people's trail reports on their blog especially if you are considering doing one of the trails you are reading about. The unfortunate thing is with the blog format, the trails get buried under all the other posts of a blog. With that in mind, we've been working on a Trail Report page for a couple of months now to provide easy access to the trail reports for our readers. If there is a trail we have done a report for, you can find a quick trail summary and the trail name is linked to our report of the trail. 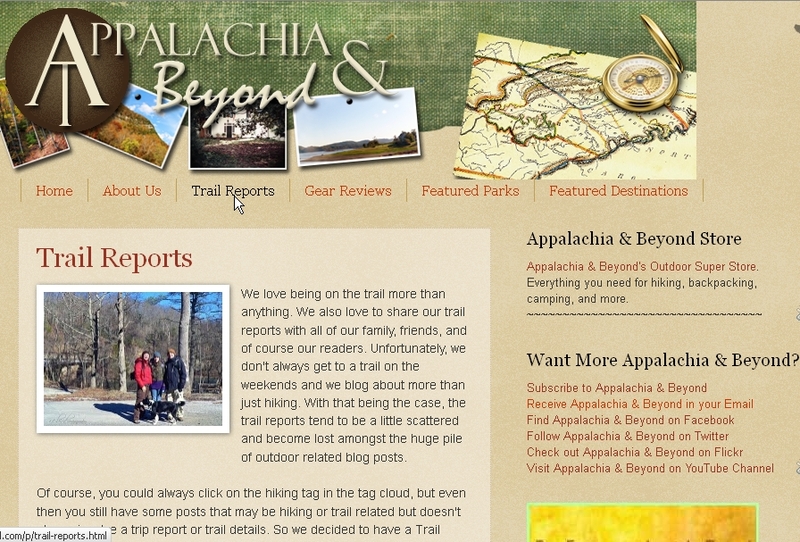 So if you have some time check out the Trail Report Page and let us know what you think. If you have friends or family looking for trail info in our area, be sure to refer them to our page. We sure would appreciate it. If there are any trails that you need info on that we don't have listed let us know. It's possible we've done it before and just never wrote a trail report on it or we may not have done it but still know about it. If that's the case we will add it to our ever growing list of trails we'd like to hike.